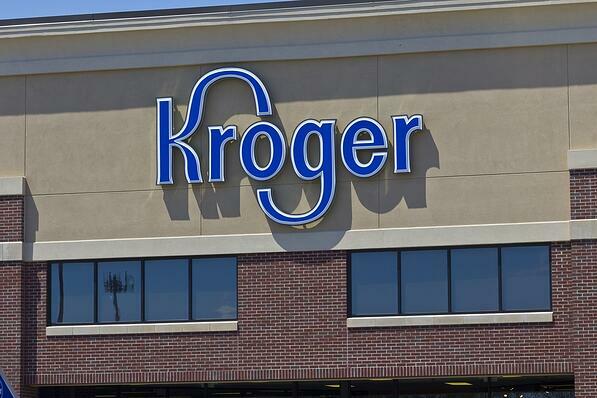 May 10 marked the soft opening of a new kind of convenience store, compliments of Kroger. Fresh Eats MKT in the Columbus, OH suburb of Blacklick represents the first of at least two more scheduled new convenience concept stores opening in central Ohio. Others may expand into existing Turkey Hill banner stores as well. While Kroger Marketplace stores opened during the last two years range in size from 100,000 to 130,000 square feet, the Fresh Eats MKT has a footprint of only 12,000 square feet. Inside the new c-store can be found made-to-order food, mobile/online ordering, plus indoor and outdoor dining areas. Although Kroger CFO Mark Schlotman refers to the specialty store as a “small test,” Fresh Eats MKT packs a big punch in terms of c-store offerings. For instance, Fresh Eats includes fresh produce, dairy, meat, and a bakery, but also wine, beer, bulk nuts, drink mixes, and candy. And there’s more. NACS reports a drive-thru Kroger pharmacy, Starbucks, two Coke™ Freestyle machines and fuel pumps round out the offering. As retail and grocers continue to seek ways to enhance customer experiences and personalize services to meet changing expectations, Kroger’s new concept c-store fits the mold. While convenience stores have been a staple of American society for decades, the future of c-stores and smaller grocers may soon transform what shoppers have grown to expect from them. Kroger’s move to think fresh in terms of produce, meats, and bakery may be signaling an industry trend. Recent reports from Mintel reveal that 79% of sandwich-buying consumers are willing to pay more for premium sandwiches, and seven out of 10 say they want high-quality sandwiches made with all-natural ingredients. In addition, Technomic reports that nearly nine out of 10 consumers (88%) surveyed in 2016 say they buy hot food items at c-stores, with more than three out of four foodservice consumers (77%) now saying they visit c-stores at least once a week.